Sunstone Registered Massage Clinic promotes the highest standard of healthy living and wellness, and that is why we support World No Tobacco Day on May 31st. 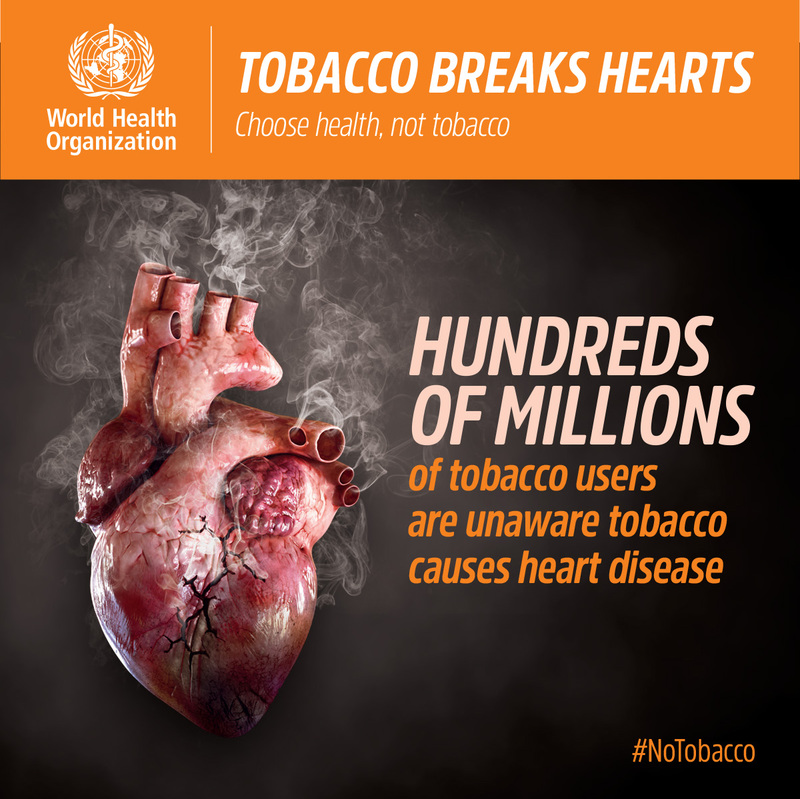 World No Tobacco Day aims to raise awareness of the harmful health effects of tobacco. We all know that tobacco can cause negative health effects. Smoking inflicts not only our lungs, our heart, our blood vessels but effects our molecules and damages our human cell levels. The damage of smoking cigarettes to your body can also affect your arteries both in the heart and legs. Smoking lowers your life expectancy for about 10 years less than people who never smoked. – Monitor tobacco use and prevention policies. – Banning smoking in public places, workplaces and public transport. – Enforce comprehensive bans on tobacco marketing, advertising, promotion and sponsorship of tobacco products. – Raise taxes and prices of tobacco to make them more expensive to reduce their purchase and usage. – Graphic health warnings on tobacco packages to warn about the dangers. – Get help and support to quit tobacco smoking. There are many benefits of quitting smoking. If you haven’t started – don’t ever start! – Avoid places where smoking is allowed. – Don’t smoke in the car. – Don’t smoke in the house. – Let go of stress cause stress makes you smoke. – Remove ashtrays and lighters from your home and your office, and car. While quitting is not easy, try to keep your mind off smoking by trying new healthy habits. – Use floss to preoccupy your mouth with something. – Snack on healthy foods. Stressed out because you are feeling the urge to smoke? – Avoid temptation to give in and take a puff. – Make an extra effort to take care of yourself by enjoying a Relaxing Registered Massage and get the stress out of your muscles. – Do activities you enjoy. – Talk to a friend who doesn’t smoke. – Go to the gym. – Visualize the health benefits. – Enjoy a longer life expectancy. – You will smell better as a non-smoker. – Think about all the money you will save by quitting. – Laugh at your old self and smile at your new smoke-free self. – Find a smokers help-line. – Join Nicotine Anonymous or Smokers Anonymous. – Join a treatment centre. Lets join and support World No Tobacco Day to reduce tobacco use and protect people. It’s time to replace your smoking habit with healthier alternatives. Break the Habit not Break your Heart.